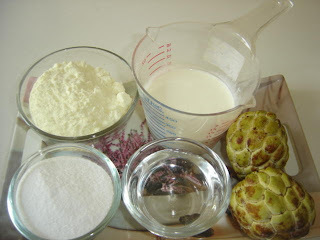 * Wash and clean custard apple than remove all seeds and make thick pulp. * Take food processor jar and add sugar, milk powder and warm water. 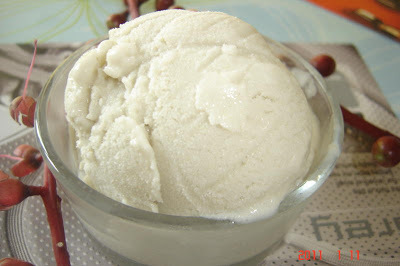 * churn 1 minute, add warm water and custard apple pulp and churn again 1 minute. * A foamy mixture is ready, Pour into a box with a tight fitting lid. * Now cover and place in the freezer for 3 - 4 hours. * After 4 hours, again churn in mixi jar. * Allow it to freeze for another 5 - 7 hours or so. * Add any of your favorites fruit like mango, chikku, bananas, strawberries, fig and enjoy ice cream.